This fun and lively medieval-themed show is played out amidst the banqueting tables so you can enjoy the entertainment put on by King Henry VIII and his entourage whilst indulging in a sumptuous feast. Tickets start from £48 per adult and £27 per child. 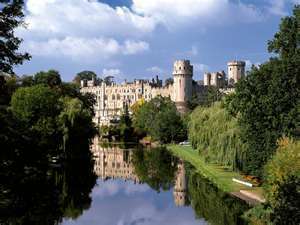 Enjoy a visit to Warwick Castle and experience over 1,000 years of history, mystery and intrigue. Daily events include falconry, jousting, jesting, fighting knight and working displays of the mighty Trebuchet – the world’s largest siege machine. Tickets start from £17 per adult and £12 per child. Step back in time to the London that shaped the history of the world, from Parliament and palaces to top department stores, famous hotels, 10 Downing Street and beyond. Tickets start from £20 per adult and £10 per child. Enjoy a full day guided coach tour to Loch Ness which includes travelling through the breath-taking Highlands of Scotland, a stop at Glen Coe, a boat trip on Loch Ness, a stop for lunch near Fort William and spectacular views of Urquhart Castle and the Forth Road Bridge. Tickets start from £38 per adult and £30 per child. From London to Weymouth, Yarmouth to Blackpool, journey beneath the ocean deep and learn about thousands of marine creatures including crabs, stingrays and starfish. Tickets start from £18 per adult and £14 per child (Weymouth Sea Life Centre). 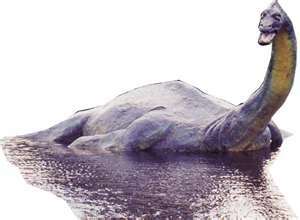 Home to an incredible 15,104 creatures in the middle of leafy Regent’s Park, London Zoo opened in 1828 making it the oldest - and one of the finest – zoo’s in the world. Tickets start from £22 per adult and £17 per child. Discover a whole world of creamy, rich stickylicious chocolate on a fun and educational visit to Cadbury World in Bournville, home to Cadbury’s chocolate for over 150 years. Highlights include The World’s Biggest Cadbury Shop, situated in Cadbury World and home to practically every Cadbury chocolate bar ever made. Tickets start from £14 per adult and £10 per child. 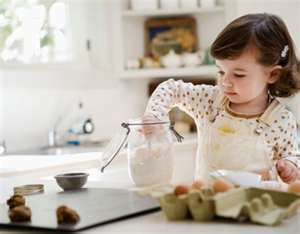 Teach young friends or relatives that learning to cook can be fun. Treat them to a cookery class during which youngsters from 9-years-old prepare and cook a variety of tasty, healthy dishes under the guidance of a friendly professional chef. Tickets start from £40. Travel back in time to Elizabethan England, courtesy of the Shakespeare Birthplace Trust, and relive the life of one of history’s greatest playwrights. Visit his birthplace, homes and important places that played a part in the life of The Bard. Tickets start from £21 per adult and £13 per child. 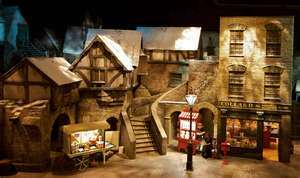 Take a trip back in time to Dickens World, where visitors take an exhilarating journey from sewer to rooftop through the cobbled alleyways of Dickensian England! Tickets start from £13 per adult and £8 per child.